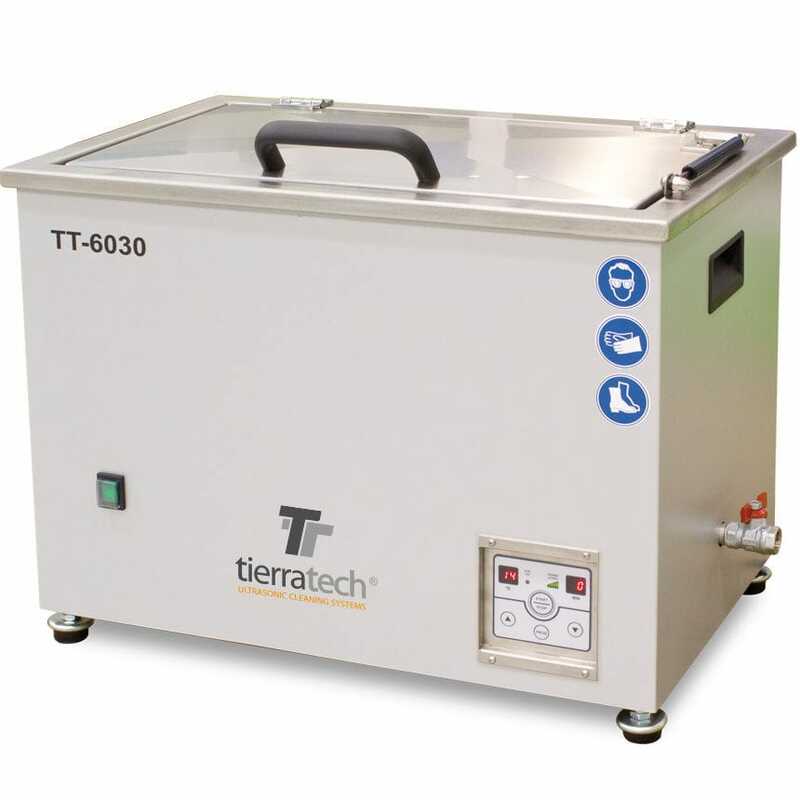 Ultrasonic cleaning system / automated / for industrial applications / with basket - TT-6030 - TIERRATECH® S.L. Industrial machines and equipment > Surface Treatment Equipment > Ultrasonic cleaning system > TIERRATECH® S.L. Internal measurements: 22” x 12” x 10” in. Useful basket measurements: 20” x 10” x 8” in. External measurements: 26” x 16” x 19” in. • Heating element: 700 W.
• 1 ultrasonic generator with 00W (1200W p-p) output power. • 12 high-performance IBL piezo-electric transducers in titanium-steel. • Power level selector: 50%-100%. • Tank built in INOX AISI 316 Stainless steel, 0,08” inch thick. • Integrated handles on the external panel. • Stainless steel basket with anchorage system for loading, unloading and draining pieces. • ½” inch draining ball valve. • Height adjustable silentblock legs. • Insulated tank cover in Stainless-Steel with pneumaticshock absorber.